Bright red neon helps identify and protect fragile items. Guaranteed to stay secure on uncoated boxes and envelopes. Bright, red neon helps identify and protect fragile items. 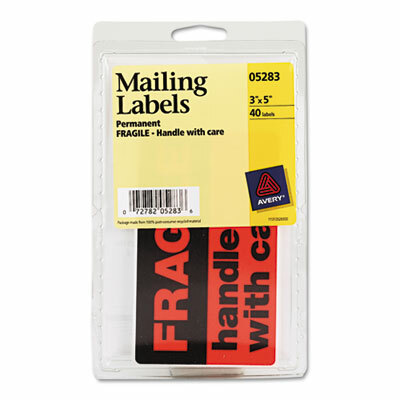 Guaranteed to stay secure on uncoated boxes and envelopes.